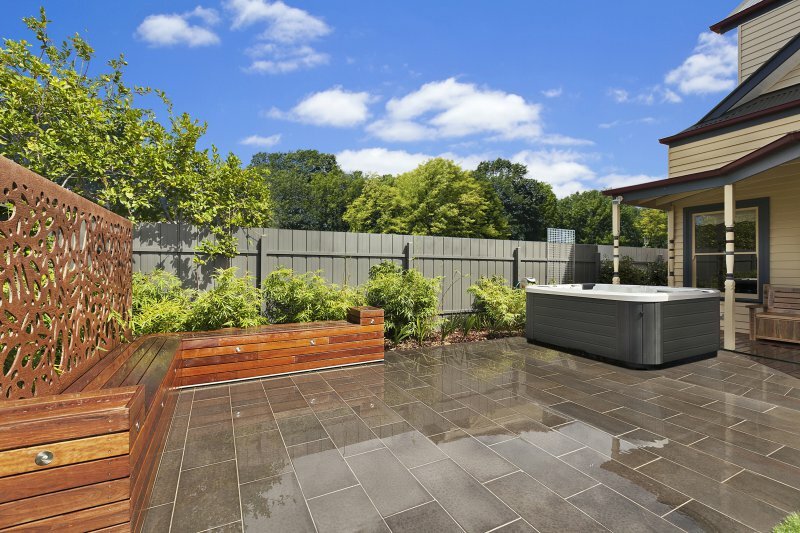 the perfect backyard for entertaining. 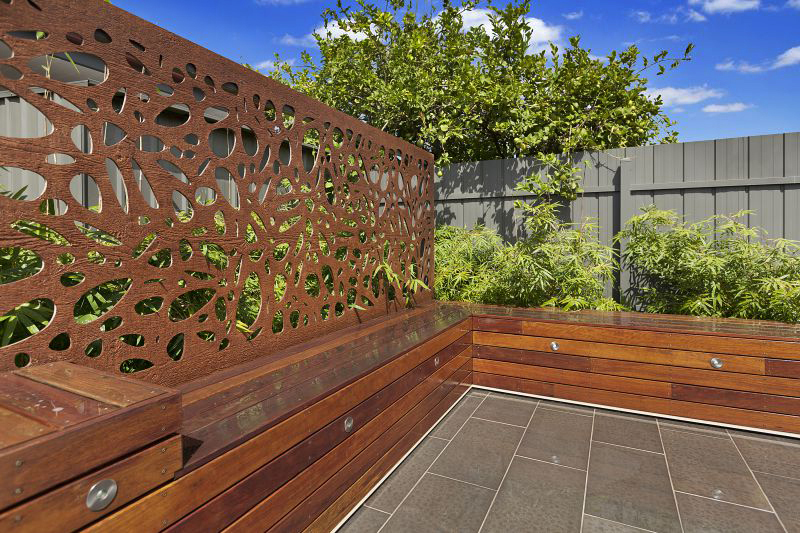 Featuring stunning merbau bench seating with mood lighting throughout. 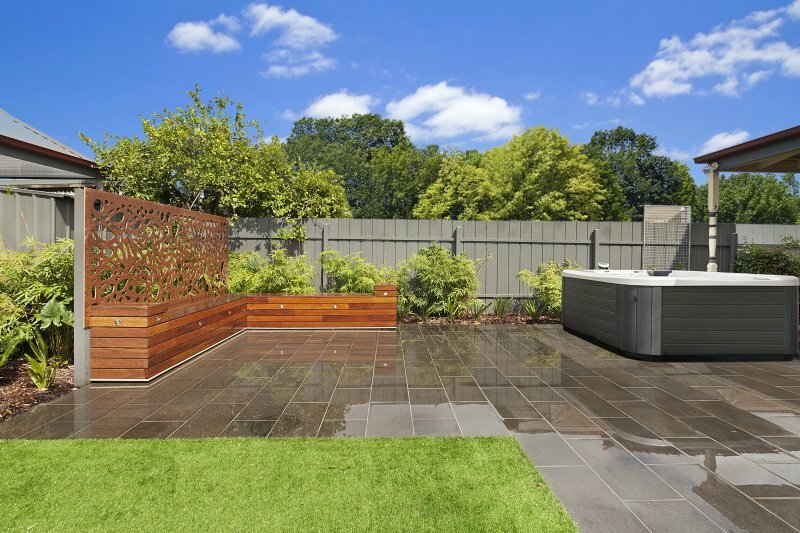 qaq wathertex screens, lifelike artificial lawn and bluestone paving step stones. 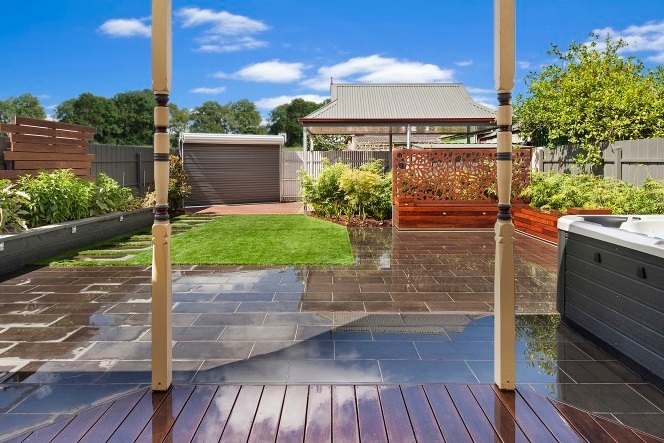 with entertaining in mind, a garden requiring limited maintenance was required. established bamboo screening used throughout.